I have been involved in many home remodeling and construction projects over the years and so far I have been fortunate enough to have not experienced any major home remodeling disasters. This is not to say that I haven’t had my share of minor setbacks and mini catastrophes along the way. Any home remodeling project is fraught with risks, challenges and setbacks. The trick to preventing home remodeling disasters is doing a lot of upfront work prior to breaking ground on your home construction project, and being a stickler to details. In addition, it is important to anticipate where home remodeling disasters could arise and setting up contingency plans well in advance. The most common problem that I hear homeowners complain about when it comes to a home remodeling disaster project is the frustration and disappoint with their contractors and subcontractors. Much of this frustration could have been avoided if they had simply requested multiple contractor bids and followed up with multiple reference checks with each contractor. This is a fundamental tenet in home remodeling disaster prevention. Choosing a contractor by wishing and hoping they’ll do a good job is fool folly. Always check the background of any contractor before hiring him or her, and if you hear anything less than a stellar review find someone else. Also, find out what other projects they are currently working on. It is important to determine if they will have the bandwidth to support your project. 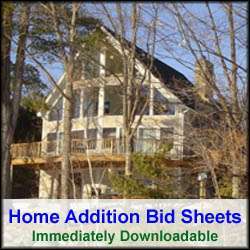 If they are busy with multiple projects, you may end up getting only a portion of their mindshare and energies, which could translate into delays and cost overruns on your home remodeling project. The second most common gripe when it comes to home remodeling disasters is in the interpretation of a home remodeling contractor’s contract. Another major home remodeling disaster prevention tenet: Never accept a verbal contract and always make sure you know fully what you are receiving for services and materials before signing a home remodeling contractor’s contract. Even after you find a reputable contractor, make sure their proposal is in writing and detailed. The contract should include a description of all the work they are to perform, the material to be used, and start and completion dates. In addition there should be a milestone schedule payment included. Also, I would strongly suggest having language in the contract that allows you to opt out of the contract in the event the contractor fails to start work on the date that they say they will. In addition, make sure the contract spells out who the subcontractors are in the contract. In addition, make sure the contract spells out who the subcontractors are in the contract. I would also highly suggest including language in the contract that allows you to pay the subcontractors out of the contractor’s money, in the event the general contractor does not pay them. The last thing you want is a subcontractor lien put on your home due to a payment dispute between a contractor and his subcontractors. Also, make sure the contract spells out who will pull permits and schedule inspections. Finally, if the contract involves 10’s of thousands of dollars I would suggest having a lawyer review it before signing it. Home remodeling contractors will demand a deposit. The amount of the deposit will vary anywhere from between 10 and 50%. I would highly recommend not paying a deposit more than 15-20% of the project. Anymore and you are setting yourself up for a potential home remodeling disaster. It is important to note that the deposit should be considered earnest monies for having the contractor perform work for you. The deposit is your upfront commitment to them. The deposit should be exclusively used for your project, such as buying initial construction material. It should not be used for paying their debt on another remodeling project. Consequently, the amount of the deposit should be sized to a cost percentage of the initial material/subcontractor requirements to get them through to the first major project milestone completion, e.g. the completion of the excavation, foundation, and rough framing work. 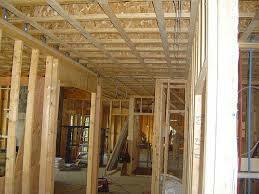 Another major home remodeling disaster prevention tenet is to never pay too much in advance for work to be completed. If you do, you lose your leverage for getting the job completed. Consequently payment milestones should be based on work completed, and not work to be done. The payment structure should always be weighted towards you such that in the event the contractor walks from the project you have enough monies left to hire another contractor to complete the work at no additional cost to you. During the home remodeling project it is vital to regularly keep tabs on work being performed and to point out problems sooner rather than later. Finding problems later costs more money as more rework is required. I would highly suggest having a regularly scheduled walk through with the general contractor at least once a week to review construction and its conformance to the home remodeling plans. By following these basic home remodeling disaster prevention tenets your chances of a successful home remodeling project are greatly improved.